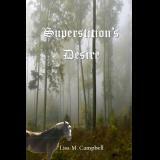 The lush landscape of the Scottish Highlands holds great beauty, but also great peril. Therefore, when Lady Arabella Wyndmere is spirited away from her English home, she is right to fear for her heart and her welfare. Held to a deathbed vow, Laird Connal MacRae is honor-bound to deliver Lady Arabella unsullied, to his deposed older brother, as a prize to soothe his ego. Nevertheless, Connal cannot deny the burning ache the spirited beauty has awakened in him. However, something far more dangerous stalks from the shadows. And in a climate of treachery and betrayal; the greatest risk of all could be surrendering to the depth of feelings of unexpected love.